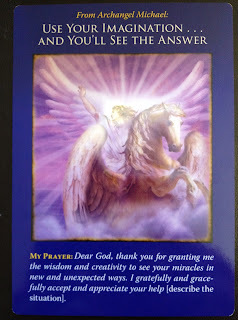 Card of the Day ~ Use Your Imagination And You’ll See The Answer~ The angels are giving you guidance and answering your prayers, yet their messages may seem out of the ordinary and unexpected, so you’ll need to use your imagination to understand them. Let go of preconceptions or old beliefs of what won’t or can’t happen. The angels have unlimited resources, and they’ve orchestrated a solution that you can see if you believe that everything is possible. 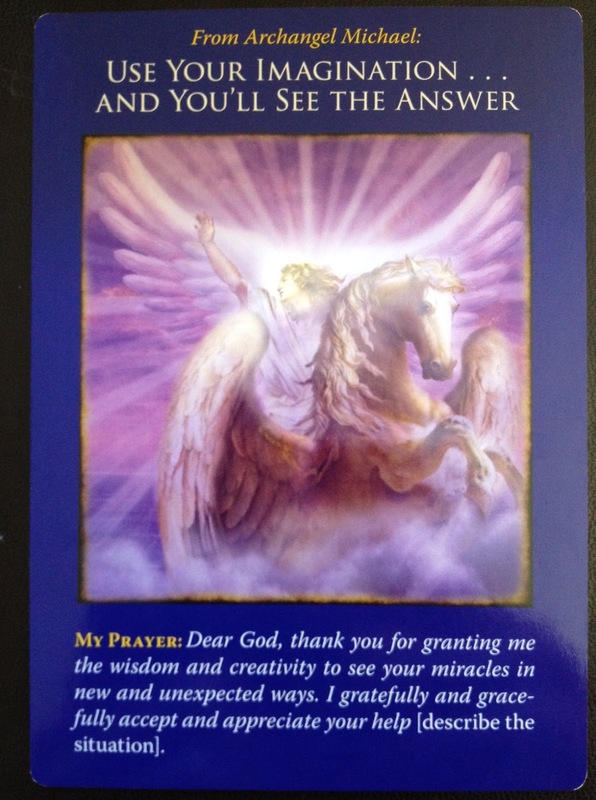 I love this card for the day because it makes you look outside the box which; many rarely do. We are governed by rules, laws, you can’t do this and that’s impossible. Let’s break free of these chains that bind us my friends, be creative and use your imagination to see the answer. Anything is possible when you have faith in yourself. Have a fantastic day. I love you all!